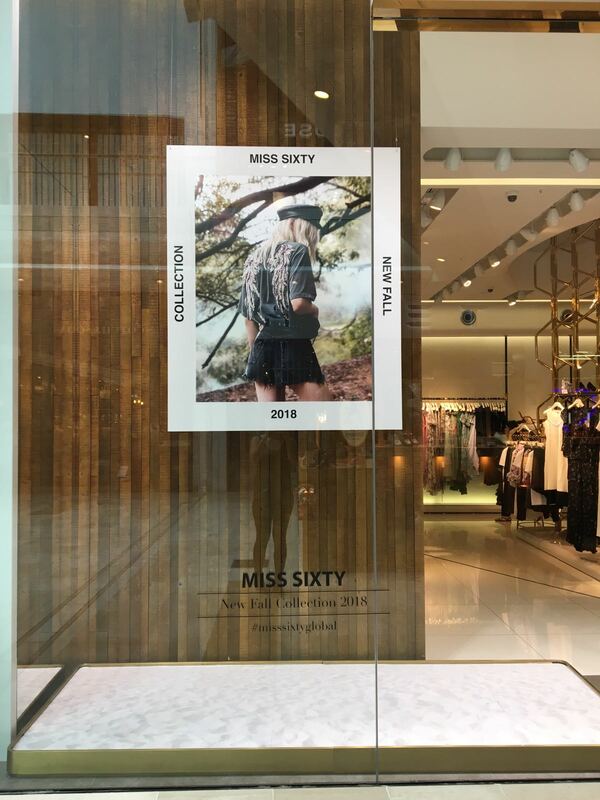 We were asked by Miss Sixty to produce their AW18 Fall Window display, for their Westfield, London and Brompton Road stores. 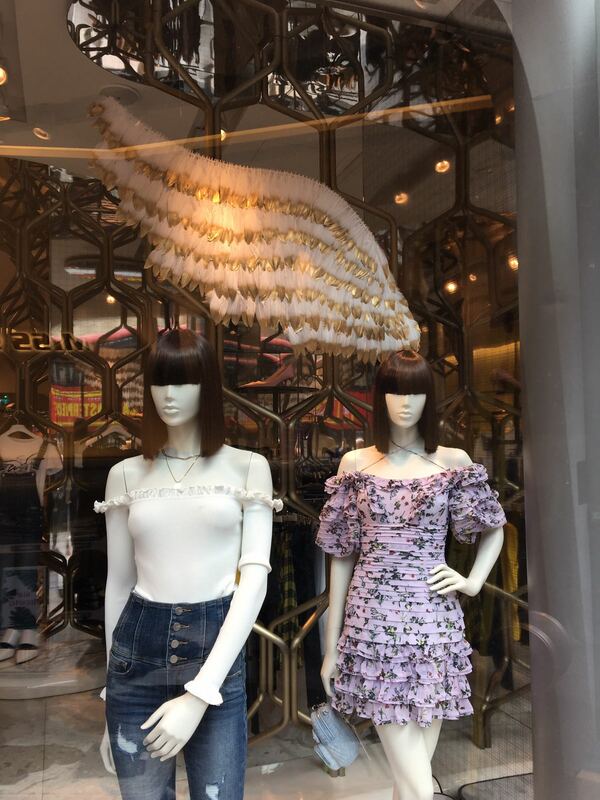 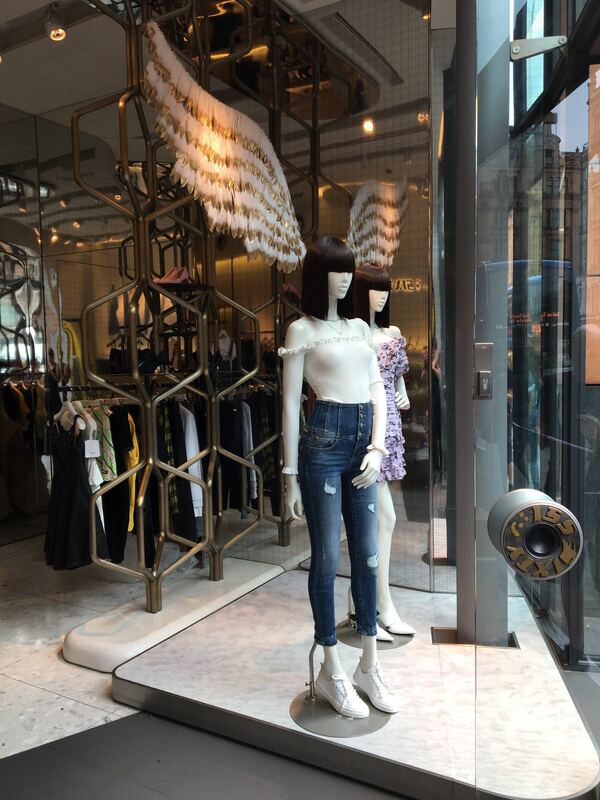 The design concept for Brompton Road and also featured in Miss Sixty stores internationally, was an Angel Wing. 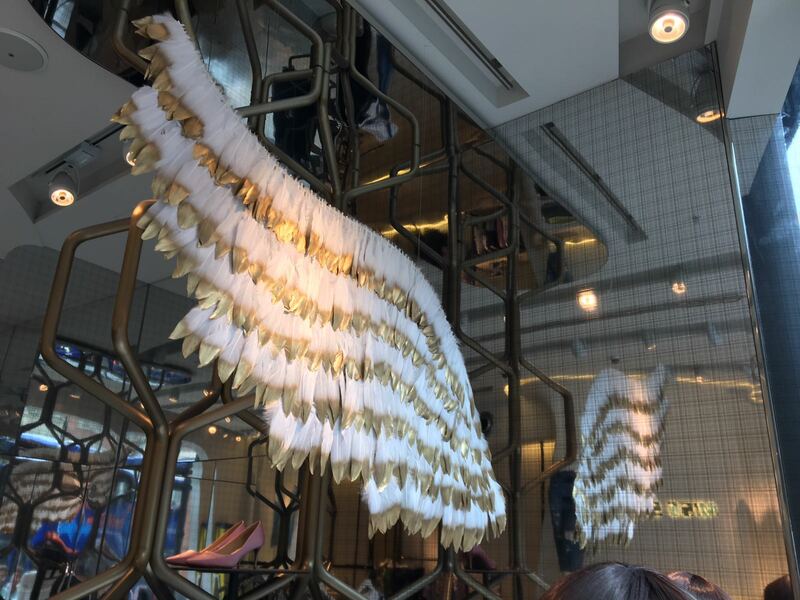 We made the bespoke wing from metal with a white spray finish and it decorated by hand with hundreds of white feathers dipped in in gold. 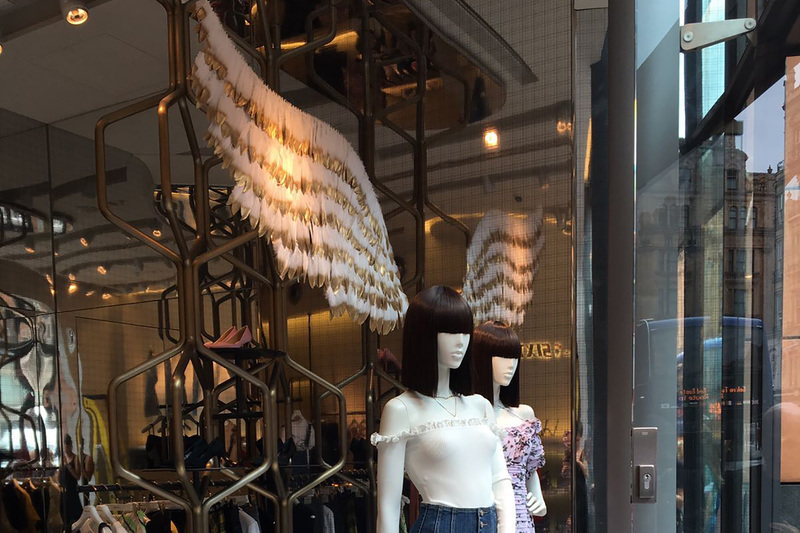 The Westfield London store featured a more understated scheme, featuring a hanging graphic from their new AW18 Fall campaign.